Family Day activities and admission to Museum exhibits will be FREE and take place from 10 a.m. - 2 p.m.
Join us for a Star Wars-themed, May The Fourth Be With You Family Day, featuring live music and a special presentation from Mississippi Swing!. 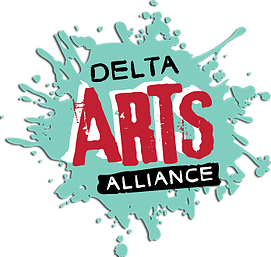 Activities will also include dance performances and art activities with Delta Arts Alliance, plus an opportunity to jam out on the DMI Mobile Music Lab. Dress up as a character from a movie with music by John Williams to be entered to win a special prize! Noon – Live music from Mississippi Swing! *All times are subject to change without prior notice. John Williams is a 24-time GRAMMY Award winner and 69-time GRAMMY Award nominee. Williams has composed music for some of the most successful film franchises in cinema history including Star Wars, Jaws, Jurassic Park, Raiders Of The Lost Ark, Schindler's List, and Harry Potter. Williams was awarded his first career GRAMMY for the movie Jaws in 1975.